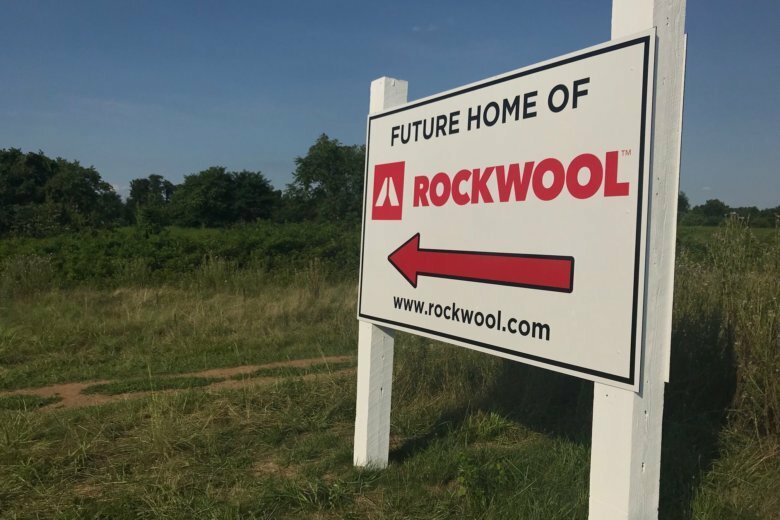 After a threat to condemn the land a controversial insulation factory is being built upon, the Rockwool company has filed a federal lawsuit against the Board of Education of Jefferson County, West Virginia. Despite being an original participant in the payment-in-lieu-of-taxes agreement in October 2017 — as the county courted the Danish-based company — the Board of Education now opposes the construction of the Rockwool factory. In a complaint filed in U.S. District Court for the Northern District of West Virginia, Rockwool said this past Tuesday, the Board of Education informed the company it had long-standing plans to build a Regional Student Support Center on the former apple orchard where Rockwool’s factory is being built. While the board had not publicized its offer letter, Rockwool included a copy in its filing. In its letter, the board cites the Constitution of West Virginia, in that “private property shall not be taken or damaged for public use without just compensation,” and stated the fair market value of the Rockwool site is $1,362,900 — or $7,000 per acre. Since the June 2018 groundbreaking for the round-the-clock factory, thousands of neighbors and environmental advocates — including in neighboring Loudoun County, Virginia — have voiced concerns and opposition to its construction, fearing air, water and sound pollution. At the factory, basalt rock will be melted into molten lava and spun into fibers used in manufacturing rock wool insulation. The future plant, which will employ approximately 150 people, will sit across West Virginia Route 9 from North Jefferson Elementary School, and within a mile of three other schools. In its filing, the company said the Board of Education had never mentioned the Regional Student Support Center, or alerted the company that the property could be condemned. Rockwool said the Board of Education already owns approximately 150 acres in Ranson, which would be equally suited for the proposed support center. In addition, similar land remains next to Rockwool’s property. “Although the BOE has deliberately kept its plans for the Rockwool property secret, there are multiple indications that the Regional Student Support Center is a pretext for the BOE’s targeting and retaliation against Rockwool for exercising its legal rights to build a lawfully-permitted facility,” according to Rockwool’s filing. Claiming violation of due process, the suit asks for a restraining order against the Board of Education to stop any attempts to condemn the Rockwool property.